Loping through a book by Will James is the next best thing to being there. Born in a covered wagon near Great Falls, Montana, and an orphan at the age of three, James was adopted by a French Canadian trapper and prospector. 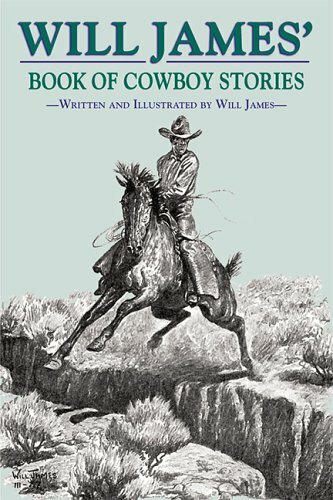 With no formal schooling or lessons in drawing, "he was a cowboy until a bucking horse threw him into writing," as Time magazine once said of him. He looked more like an Irish scholar than a cowpuncher, but he wrote as he talked...in a natural, easy-going way. This book contains 15 memorable stories.